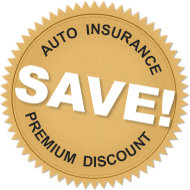 Our state-approved insurance reduction courses for mature drivers can save you up to 15% on your automobile insurance premiums. Simply complete the easy-to-read defensive driving course to start saving. Select your state for the details and to get started! Everybody loves to save some cash. Between the low price of the course and your insurance discount, you may need a bigger piggy bank! Our traffic safety courses are developed by professional designers and expert educators to make your experience informative, easy, and fun. Complete the self-paced course on your schedule. Sign in and out as often as you like. As long as you have an Internet connection, the program is available. Real human beings are waiting to take your call if you'd like more information or if you need "roadside" assistance with the course. Older drivers can save money on their automobile insurance premiums simply by completing a traffic safety education program. The age at which a motorist is eligible for a "mature driver" discount, and the amount of the savings vary by state and/or insurer. However, some states even require that insurance providers grant a certain discount for a specific length of time. Simply select your state from the drop-down menu above for information pertinent to you and to get started. The more you know, the safer you'll be on the road. Our crash prevention courses were designed specifically to educate older drivers about the effects that aging can have on a person's ability to safely control a motor vehicle, and suggest helpful remedies and alternatives. The engaging, professionally designed, easy-to-read course is filled with colorful illustrations and video clips. And our hilarious traffic-related jokes will have you laughing while you learn. Best of all, the useful safe-driving tips will help you to avoid a run-in with the law — or another vehicle — and drive down your insurance rates. The investment in our low-cost course will pay for itself many times over! After you complete the course, we'll issue an official Certificate of Completion that you can present to your insurance provider to claim your discount. Your Certificate of Completion is mailed out to you the business day following your pass date; expedited shipping options are available. You may also order duplicate certificates by contacting our friendly customer service department. So, what are you waiting for? Let's get you on the road to safety and savings!